This is based on a street Game played in India, Pakistan, Bangladesh and other South Asian countries. The object of the game is to get as many marbles into a hole as possible. The game has Single Player, Local and Online Multiplayer, and has been launched for iPads. 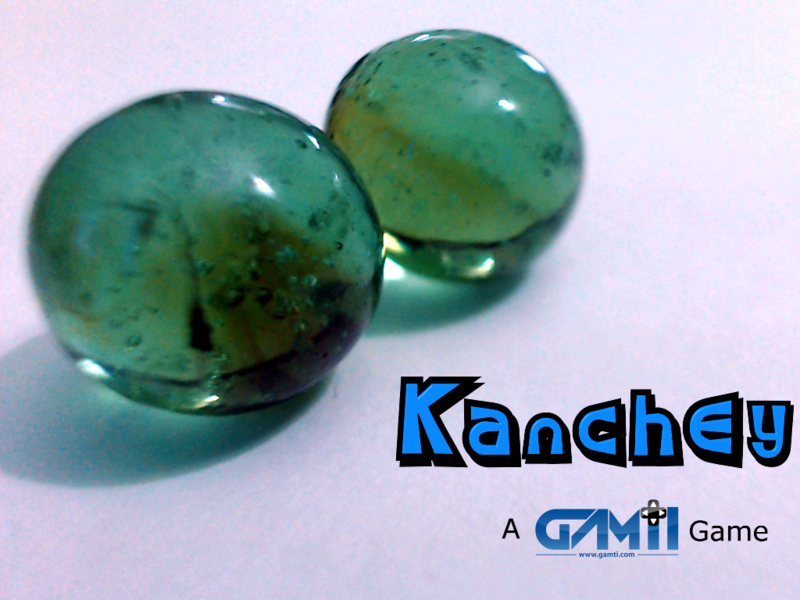 Kanchey is a marble game that was released on October 15th, 2014. In this series of posts, I will try to document some of the things that were encountered in the creation of the game, as well as how the game reached its final form. Let us start with creating Kanchey. The game should be fun and fresh. Since I am not very good at drawing, try to have a game that does not require me to draw very complex things. After a while. I realised that there was already a game that I wanted to play but I didn’t recall seeing being made. And thus was conceived the idea for Kanchey. 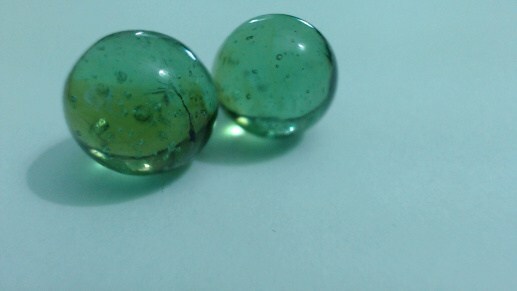 Kanchey (or Marbles, as they are called in English) is a street game played in South Asia. It has challenging mechanics, as well as depth that can be simplified or expanded upon depending on the scope of the game. The street game consists of shooting marbles into holes with a player's own striker marble (a little bit like snooker, but on the floor). Additional mechanics, such as players would put their marble collection as entry fees for competing were also considered to raise the stakes and make it more exciting. Kanchey did not require complex shapes – after all, it was a game about rolling balls into holes dug into the ground. But like every good idea – it was a simple concept that could be fun to play if executed properly. This also allowed me to cover for my lacking art skills. This would facilitate the fine tuning of the game, as swiping mechanics need a bit of fine tuning for such games to make it more accessible. Since more essential items are present in the inner core, they would get tested and validated more before the other layers were worked on. Sometimes, bugs in the inner layer would be discovered while working on an outer layer, thus making game breaking bugs less likely. We would have something to show and gauge interest, as well as use the prototype to harvest valuable feedback. Games such as this live and die on the way the input functions and 'feels' to the user, and fine tuning input was very important. Having a simple build with the input mechanic would allow us to obtain and work on feedback faster. In case there were any issues and we had to release early, we could release the last completed layer and continue working on the next layer. The objective was to use the striker to get the non striker marbles into the holes without getting the striker to fall. Upon successful completion of the task, the player would progress to the next level. This part would include local multiplayer. This would involve alternating turns between two striker marbles, as well as score maintenance. Since the inner core would already have been implemented, this would involve having two players with customizable appearances. The customizability of the striker Kancha allowed an avatar of sorts - you could chose the colour and pattern for your striker to give it some personality. This layer would use whatever has already been built, and make additions as required. The final and most challenging layer would be online multiplayer. This would take the game built in the previous layer, and add online component to it. However, it would also have to account for matchmaking, issues with connectivity etc. which would come with an online game. This was the outermost layer as it involved many challenges, and required all the components made previously to work in unison to be functional. Some final polish, such as level selector, striker designer (used for maintaining customized Kanchey), saving player data etc. would require to be implemented before the game shipped, irrespective of which layer was completed. In subsequent posts, I will go into further details into how the concept of the final game was fleshed out - how some ideas were rejected, and how other things which were not initially a part of the design were found and added – and how things were implemented. Kanchey is released for the iPad. You can find further details of the game at www.gamti.com, as well as its site www.kanchey.com .